Rusty is wearing a 30" aluminized jacket with aluminized chaps. ​Tri-Star Glove offers best-practice fabrics made with OPF, fiberglass, and Twaron®, giving reflectivity, heat protection, cut, and puncture protection. We can assist with choosing the right fabric based on your level of safety threats. 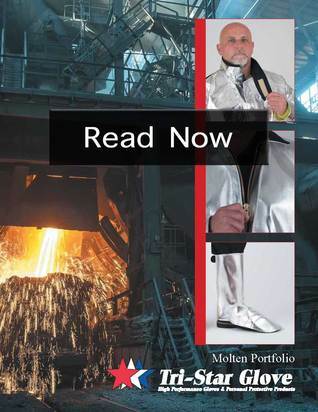 Primary layer aluminized garments include spats, chaps, aprons, jackets, and lab coats. We use solid brass snaps and heavy duty zippers with Nomex®, FR hook and loop closures, and Eversoft® leather along with design innovation and experience to create excellent PPE for molten metal splash protection.